Suitable for small construction projects, DIY and household waste, office, home and garden clearouts. Easy to load. Slightly larger than the 2 Cubic Yard skip. Appropriate for clearouts in the home, office and garden and other small construction projects. Easy to load. Popular builder’s skip that is ideal for medium scale construction jobs and medium scale home and office clearance. Slightly larger than the 6 Cubic Yard skip. Suited to construction projects, house and office clearouts, plus mixed or segregated commercial waste streams. 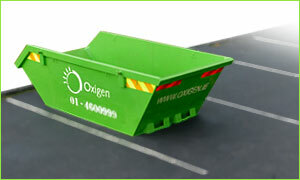 Heavy duty skip suited to large construction projects for stone, soil and mixed builder’s waste, as well as large house clearances with bulky waste.